In the Credit Limit field, enter the maximum total amount the customer may charge.Sherpa Tip: This balance is shared between store locations. In the Terms field, enter the default payment terms (e.g. NET 30). Check Require Purchase Order Number if the customer requires a purchase order for all charges. In the Special Instructions field, enter any additional notes about the customer’s account. 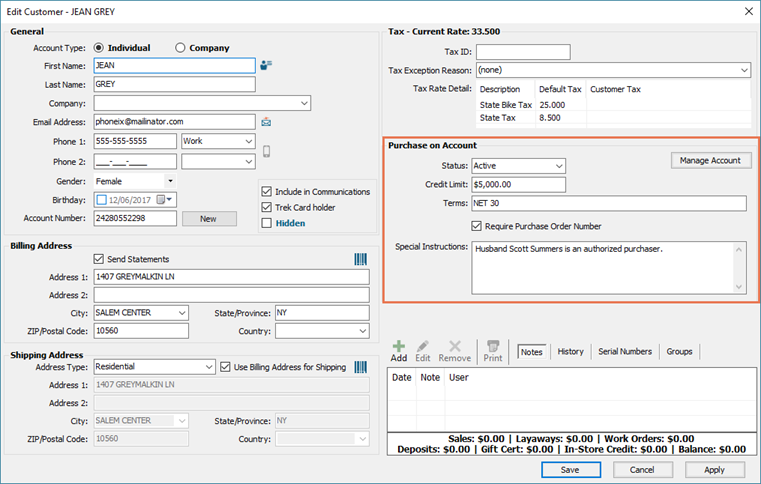 In the Billing and Shipping Address sections, ensure an address is entered.